We all have to take care of our appliances because they tend to breakdown. That includes water heaters. Some people don't like taking cold showers, so you need to know the signs when your water heater needs a replacement. Sometimes all you need is a water heater repair, but sometimes you need a water heater replacement. You can have a big problem if you wait too long to replace your water heater. How do you know when you need a Water Heater Replacement in Scottsdale, AZ? If your water heater is old, it most likely needs to be replaced. Usually water heaters only last 8-12 years. When you maintain your water heater, it could last longer, but sometimes even if you take good care of it, you need a water heater replacement. A local plumber can help you with the process of replacing your water heater. If your drain valve becomes clogged, you need to replace your water heater. Over the years sediments will build up and go into the bottom of a water heater's tank. Sediment build up can cause a serious problem regardless if you have a gas or electrical water heater. Sometimes you can unclog the drain valve yourself, but you can call a plumber to help you. It is hard to repair a water heater when you have a leak that is caused by an internal problem. It can cause a lot of damage to your house. You will have to replace your water heater to prevent water damage. Calling a professional plumber to install a new unit is the best thing to do. 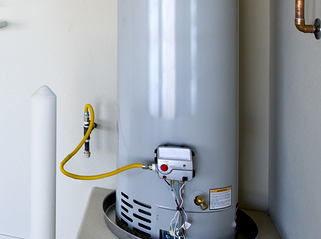 Taking care of your Water Heater Replacement in Scottsdale, AZ is important. Professional plumbers can help you determine whether or not you need a water heater repair or replacement. Call a plumber today if you notice any problems with your water heater.